Some people are blessed with beautiful cuticles and nail shapes. However, many of us are not. We struggle with over grown cuticles that are dry and snag when the skin becomes overgrown. Cuticles bleed when the skin is pulled away from the nail bed. The skin around the cuticles become red and sore. Actually, this can be quite painful. 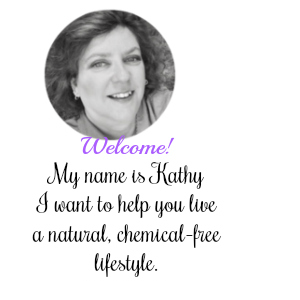 With a few of my at home manicures tips, I will share how I found to alleviate these problems with difficult cuticles. I have found that manicures, you give yourself, in the luxury of your own home, are relaxing. So, when the children are napping, make time for yourself and give yourself a quick and relaxing beauty spa treatment. The first tip is to soften your cuticles. I use warm water. 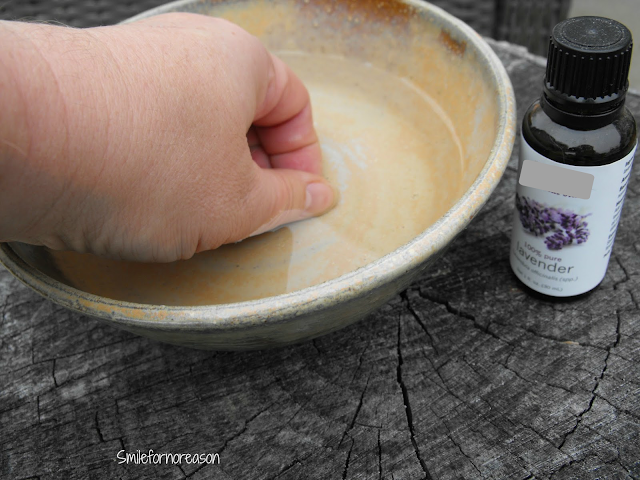 Fill a small bowl with warm water and soak the cuticles. Approximately 10 minutes. I soak the cuticles until my fingers become wrinkled. For additional relaxation, add 2 or 3 drops of lavender oil to your warm water. I dry my fingers with a dry towel. As I dry my nails, I apply pressure and push back my cuticles with the towel. I do this step before I use the cuticle stick. The towel helps to push the skin back while the cuticles are still damp. 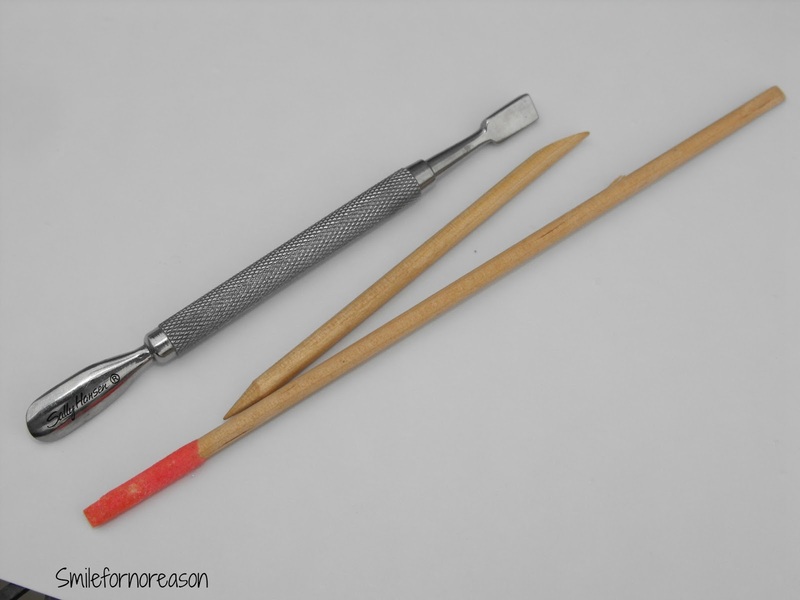 Next tip, I use an orange stick to push back my cuticles. I have difficult cuticles that are not only dry, but a thin cuticle skin grows over the nail bed. Because I have soaked the nails, this thin layer is easier to push back with the cuticle stick. I use a variety of cuticle sticks. Not one is my favorite. But, I do tend to reach for the small orange stick when my cuticles are finished soaking. I push back the cuticles with the orange stick. This is easier when I take the time each week to give myself an at home manicure. But when I neglect the spa treatments, pushing back the cuticles may take a few minutes. When I finish with a cuticle, I then use the towel to push the cuticle bed back. In other words, I use the orange stick, then the towel to finish. Then, I move to the next finger. Another tip, I have shared that my cuticles do snag, so I use a cuticle trimmer to remove excess dry cuticles. I use the brown trimmer on the extra cuticle that grows across the nail bed. 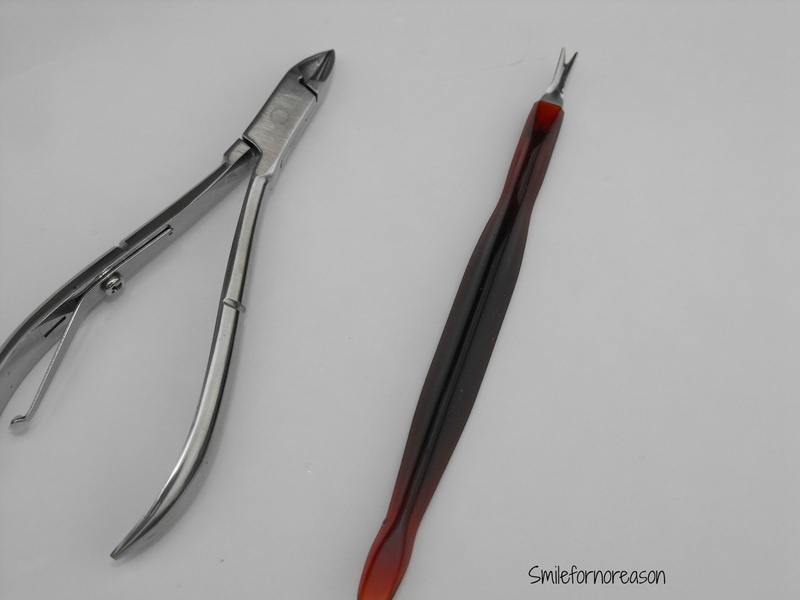 I use the cuticle nipper for any skin that has pulled back from the cuticle. (Note) Many suggest that cutting the cuticle is not healthy. And while I do agree with this statement, I do have to trim my cuticles from the nail bed. I do not cut into the fresh skin, I just trim any excess cuticle. If, by chance, I trim too much, I apply a small amount of Neosporin to the cut. Again, I use the towel to push back the cuticle. My last tip is to finish with a hand lotion. Rub into the cuticles. I try to apply lotion daily to my cuticles. Sometimes, I do forget, even though I have the lotion sitting next to my computer. I hope these tips help anyone struggling with difficult cuticles. These tips are what I found work for me. I know I will never have beautiful cuticles, but the manicures I give myself, do alleviate the redness and soreness that occurs when I neglect time for myself. 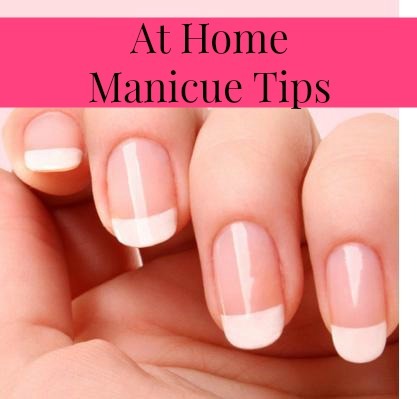 Please share any tips that you use for your at home manicures. Recently, we adopted a 3 month old kitten. Actually, she found us. Pictures of her can be found on my Instagram. In fact, I write this post as she sleeps in my arms. In our home, we have chosen to decorate with leather furniture. So imagine my concern when the new kitten and her claws were introduced to our furniture and wood work. We have an older cat in the house, who, when he was first brought home, decided the wood work was a convenient scratching post. With this cat, we sprayed perfume on the wood work and he stopped scratching. Both of our cats have their claws. I have decided not to have their claws surgically removed, so, I was searching and reading anything, anywhere for ideas to stop the new kitten from scratching the couch. I did not want to spray perfume on the leather. Alcohol is used when making perfume, I did not want to dry out the leather. I happened across an article that said to use a Vapor Rub to repel the cats from scratching on a particular surface. Cats are not fond of the smell of menthol, so they avoid the areas where the vapor rub is spread. I was apprehensive, but I spread the vapor rub on the bottom of my couch. The kitten enjoys grabbing on the bottom of the couch with her claws and scooting across the carpet. Very cute, but not a good look for the couch. Result- She has not used the couch as a propel post since I applied the vapor rub. I have since reapplied. Success, she has stayed away from the couch. While searching for preventative measures on cat scratching, I discovered that you can make your own vapor rub. Well, imagine my excitement and look for further details about how I made my own vapor rub in a future post. How have you stopped your cat from scratching wood work and furniture? 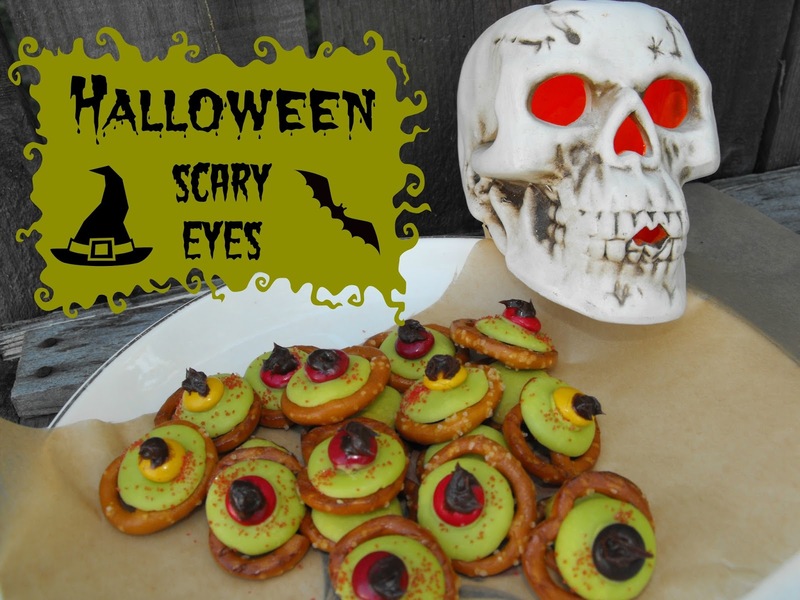 This gluten free, Halloween treat is a fun addition to your Halloween party. A few minutes in the oven and you will have a scary treat ready for the party table. Place parchment paper over your cookie sheet. 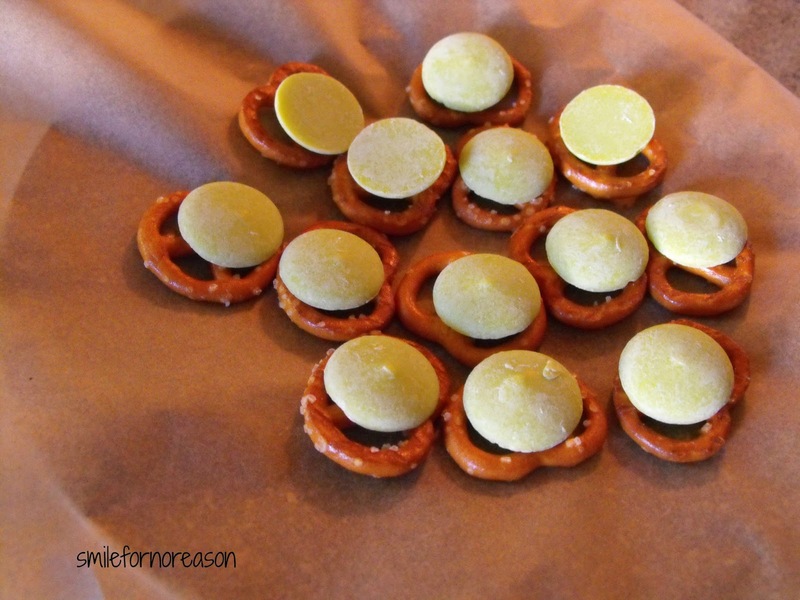 Place your pretzels on the parchment paper. Put a candy melt on top of the pretzel. 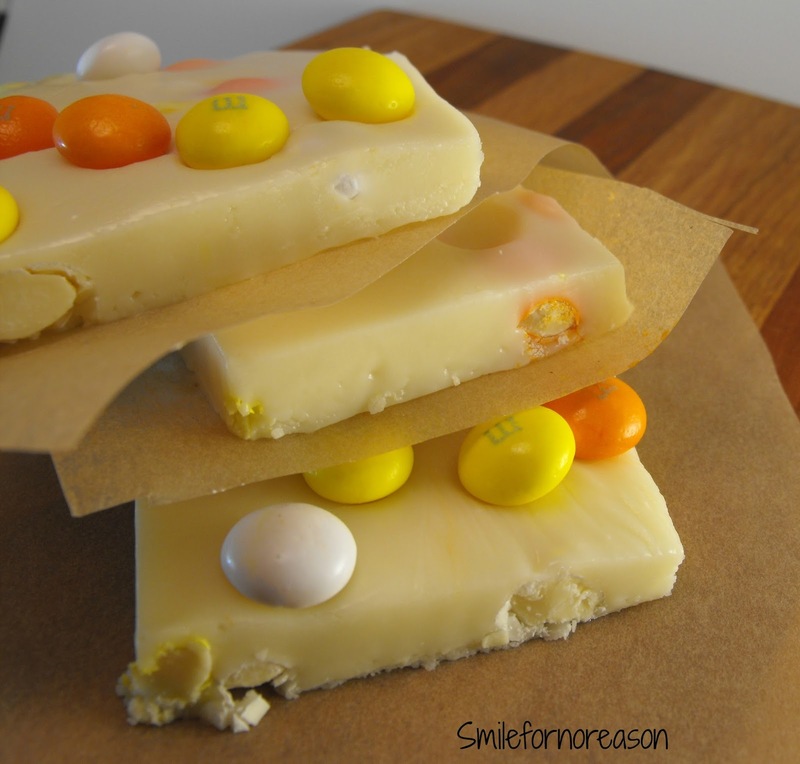 Place the M&M on the candy melt and gently press in. 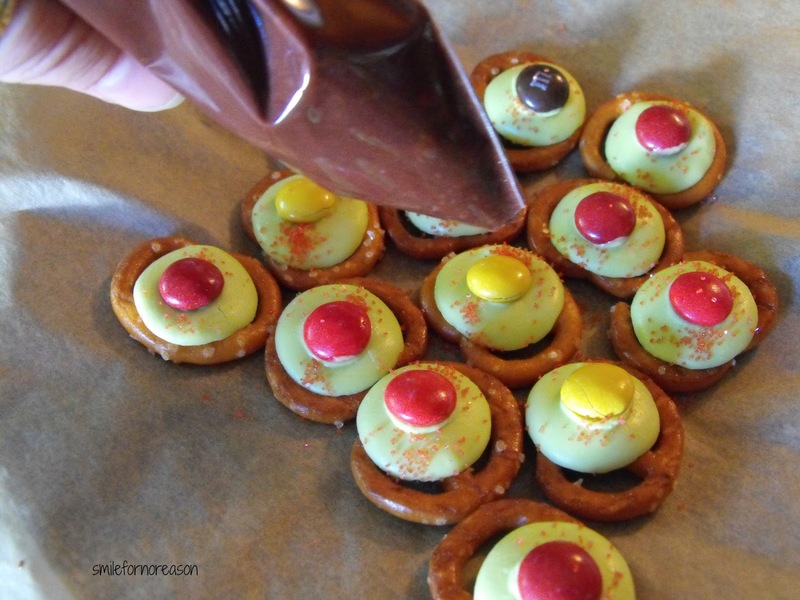 Sprinkle the red candy sprinkles around the green candy melt. Place your icing in a large storage bag, cut off the tip of one end of the bag. When your treat has cooled place the icing in the middle of the M&M. When your Halloween Scary Eyes have cooled place them in a storage container. This is a nice sweet and salty treat. They taste like a chocolate covered pretzel. Only less mess, you do not need to touch the chocolate. A similar recipe can be found here. My friend +Pheeby Snow is back with us to explain some tips on how to clean up those accidental spills on your carpets. I wish I had had her tips when my son spilt spaghetti sauce on our new carpeting. 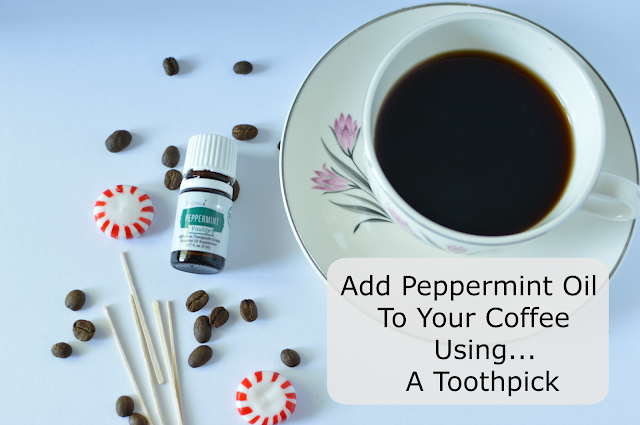 Pheeby shares with us some products that you already have in your cabinets to alleviate those nasty spills before they stain. Image that your sweetheart comes to you and says: “Honey do you remember that time when we were in Egypt? It was awesome, but guess what, I spilled some wine on the carpet we've bought there”. We know you love your carpet but this nightmare could happen for real, so do you know what to do in case of emergency? Nobody can ensure you that food or wine won't be spilled at your birthday party right? Such disastrous situations could always appear and you should be prepared to act instantly if you love the warm authentic touch of your favourite carpet's sweet fibers. You should feel very lucky because we would give you the best tips for cleaning carpet spills that would help you out in any emergency case. Having a good time and partying at home is great. Some red wine would make the occasion even better, but not if it is spilled on your carpet. If something like that happens, don't panic. What you have to do is to fight fire with fire. Take a glass of white wine and pour some on the stain as quick as possible. The next step is to get a good amount of salt and spread it generously over the spill. After you have applied the salt, you will have to find a white towel and sprinkle it with water till it gets moist. Then cover the salty stain with the towel and wait about an hour. Finally, remove the towel and the salt and find some dry white cloths. Apply the cloth over the stain and press till the cloth adsorbs the liquid. All you have to do is to repeat this procedure until the cloths and your carpet come out clean. If there is something that still bothers you, you can apply carpet cleaner as a final blow to the wine spill. The next great threat for our carpet are food spills. You won't enjoy your Persian carpet with some spaghetti sauce or gravy on it. London Carpet Cleaner would offer you a cleaning tip that could help you in similar food stain problems. What is important here is to act immediately because almost all of the food spills can be removed if they are treated instantly. Begin with the larger bits and pieces of food and collect them by hand. Continue with the removal of the remaining food from your carpet. Make sure that you won't damage the precious fibers of your carpet. A blunt knife or scrapper would be perfect for you as long as you gently take off the remains. It is important to do it gently because we don't want to push food particles into the carpet texture. The next step is to take a moist towel or sponge and carefully tap over the stain until the tiny bits of food are cleaned. Note that the stain may expand if you rub the towel instead of tapping it. All of the food should be gone now. The cleaning of the remaining stain could be made with things that every home has. You can use dish-washing products, vinegar, baking soda or detergents. The baking soda must be mixed with water to form a cleaning paste. Directly apply the paste on the spill and remove it after a while by tapping it with damp sponge or cloth. If you use vinegar you will have to pour it over the stain and absorb it as we have mentioned before. Now that you know what to do if anything happens to your favourite carpet, you can plan your next party at home without worrying about mischief situations. Just remember that the sooner you treat the spill, the less cleaning you will have to do. Again, thank you Pheeby for these handy tips. Cutting a raw spaghetti squash in half can be quite the conundrum. I had my husband cut my spaghetti squash in half in the past. But when I discovered that you can just place the squash in the crock pot to cook, I wanted to give this new cooking experience a try. Cooking your spaghetti squash in this fashion, made cutting the squash in half a very easy task. Basically, the cooked squash fell apart when transferred from the crock pot to a plate. 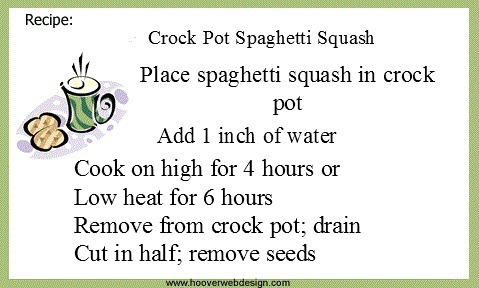 To cook the spaghetti squash, place the squash in the crock pot and add an inch of water. Cook the squash on a high setting for 4 hours or on a low setting for 6-8 hours. Transfer to a plate or cutting board to cut in half. The squash will be hot. 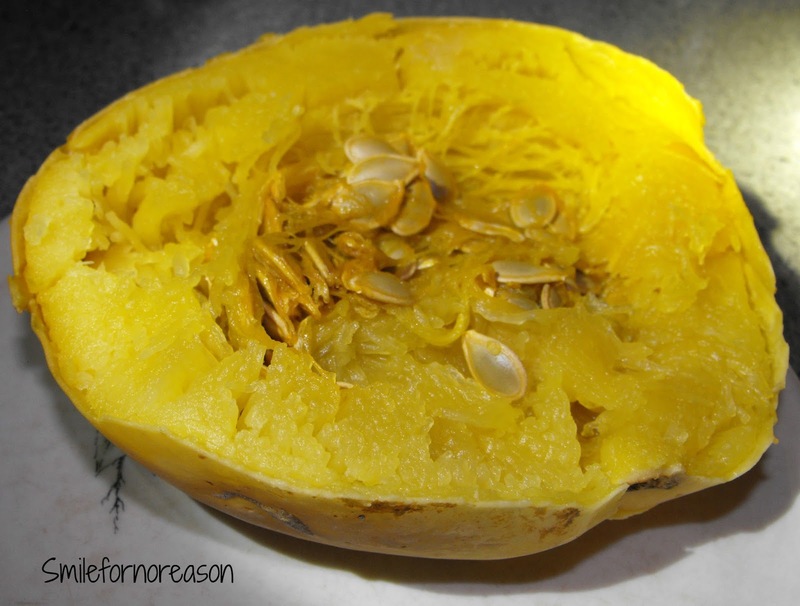 Cut your squash in half and scrape out the seeds. The squash is ready for you to serve with spaghetti sauce, Alfredo sauce or whatever you are making with your spaghetti squash. 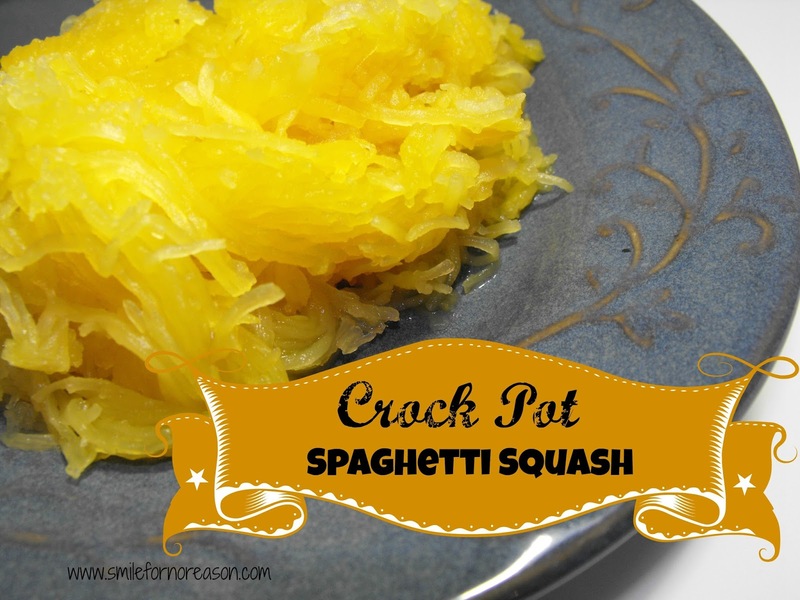 What do you make with your spaghetti squash? Fudge is a wonderful favorite when shared with family and friends. A cup of warm tea, a square of fudge, good friends, a complete recipe for a great time. 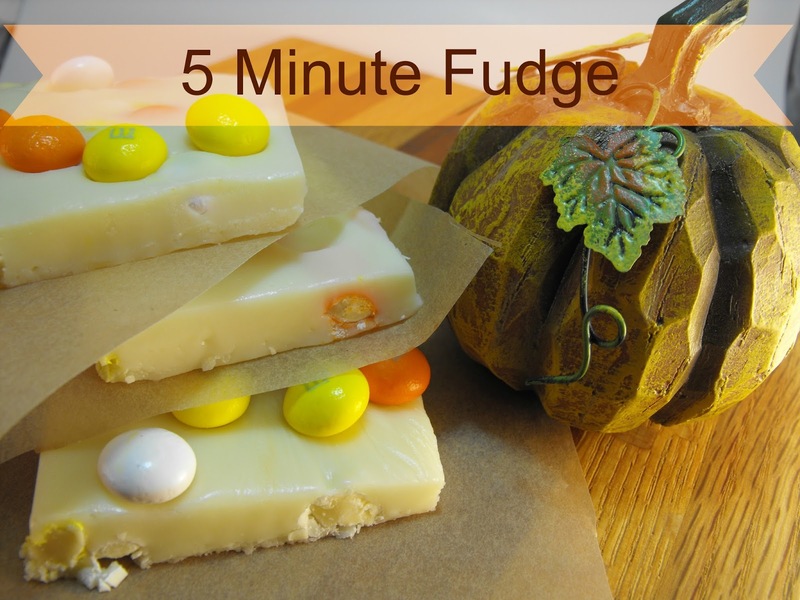 I discovered this fall inspired, easy, 5 minute fudge recipe at Flourishing at Home. Jan has put in hard work to find the exact ingredients for her fudge recipes. Through her many trials and errors, I am recreating her recipe- 5 Minute Fudge. I used butter to line the sauce pan. Because, well, you just can not beat butter. I added in 5 handfuls of M&Ms and the vanilla. "Friends are the chocolate chips in life." The fudge was delicious, basically melted in your mouth. The texture was "spot on." 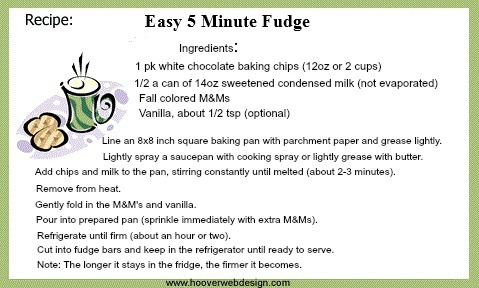 With the addition of the M&Ms, the fudge had a slight crunch. The two different flavors of white chocolate and milk chocolate from the M&Ms just emitted a burst of chocolate goodness. What are your favorite fudge recipes? After making my homemade laundry soap, I had a box of washing soap leftover from that recipe. I looked for additional uses for washing soda on the internet and I discovered many #lifehacks for this product. 1. Washing soda and baking soda are completely different chemicals. They are NOT interchangeable. 2. Use rubber gloves and appropriate protective gear. If you brush a surface after applying washing soda, use safety glasses to protect your eyes. 3. Washing soda is alkaline, and can cause irritation to skin. It is less dangerous than many other household products, but handle with care. 4. Do not use washing soda on aluminium or fiberglass products, or waxed/varnished surfaces. 5. Do not inhale, swallow or apply to your body parts, or anyone else. 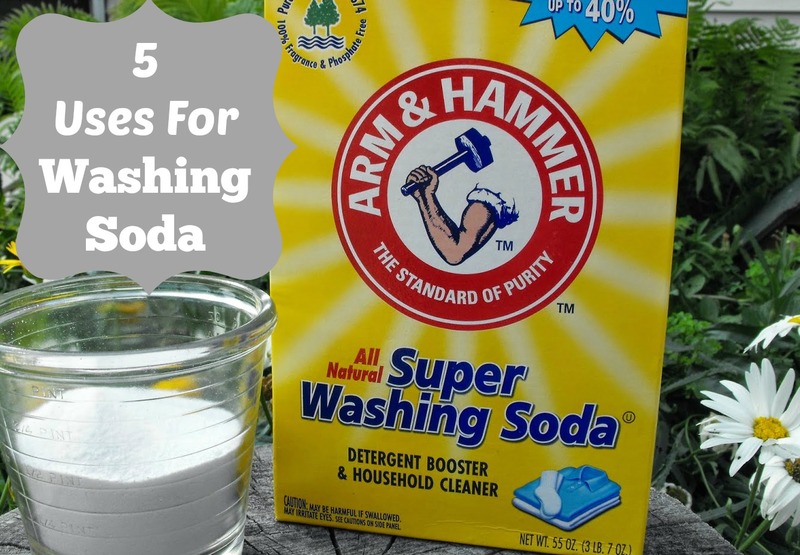 Combine 1 cup Borax with 1 cup Arm and Hammer washing soda. Grate in Fels Naptha. Store in an air tight container. Wash surface, wearing gloves; then rinse. For really tough jobs, make a thick washing soda paste by mixing it with water, and then spread the paste on the soot. Keep the paste damp by spraying every hour or so with a spray bottle. Leave the paste on overnight, and then rinse. Make certain to only use this formula on inert surfaces such as glass and stone, as this amount of washing soda can peel off paint, wax, etc. 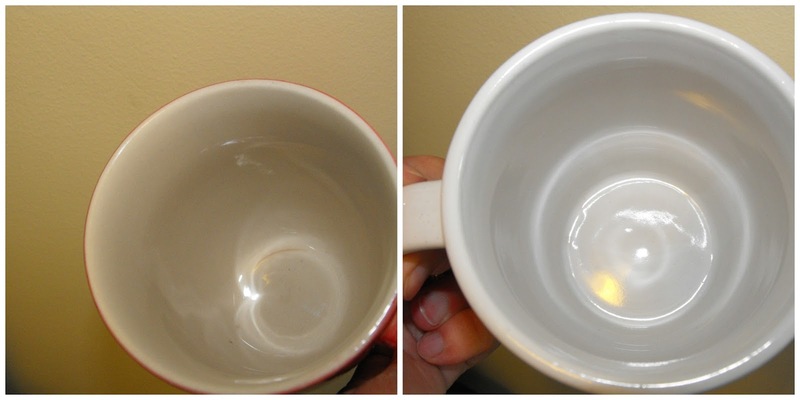 If your coffee mugs and wine glasses are discolored, try soaking them in a solution of washing soda and water overnight. Then rub gently to remove stains. Follow with a good rinse under hot water. 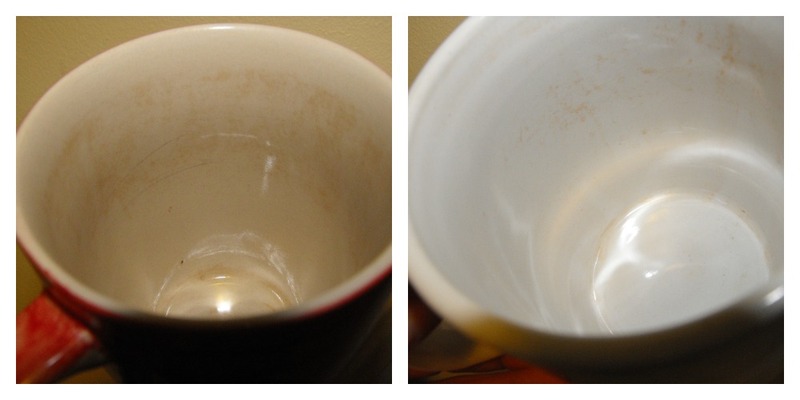 Soak in a strong solution with hot water to remove dirt and grease. A mild solution of washing solution will remove grime and bugs from the wind shield. Note: Rinse immediately if solution splashes on the paint of the car. What have you cleaned with the washing soda? 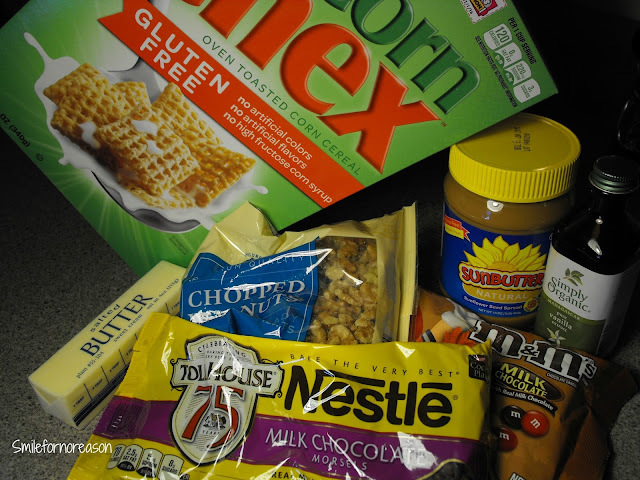 I recreated a family favorite using Gluten Free Corn Chex. While I chose to add in walnuts and M&ms, you can substitute candies that please your relatives and friends. This recipe is quick and easy. A few simple steps, with ingredients that you have in your pantry and your dish will be a crowd pleaser at any potluck. Place 9 cups of the Corn Chex Mix in a very large bowl. Put the milk chocolate chips, butter and peanut butter in a sauce pan. Use low heat and stir together until all ingredients are melted together. Add in the vanilla and stir together. Pour over cereal. I did this in steps. I poured 1/2 of the melted chocolate on the corn chex, mixed together, then when the chocolate was mixed through, I added in the rest of the chocolate. Stir until all of the corn chex are coated. Add in the powdered sugar using the same steps as in step 4. Add in your walnuts and M&Ms. Mix together. 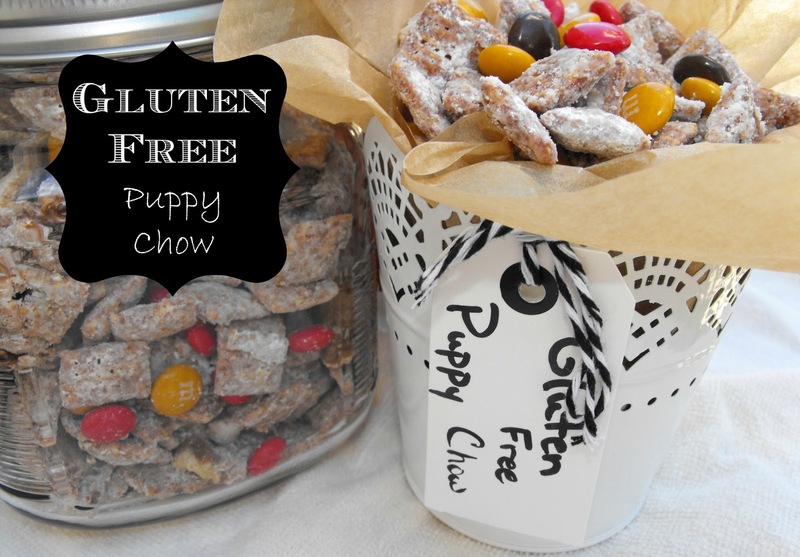 I have never before attempted to make a puppy chow recipe. But when I discovered this simple recipe, I thought I would give it a try and I am glad that I did. Not only is this an excellent recipe to take to family gatherings, but add the finished product to a decorative container and you have a tasty hostess or teacher's gift. 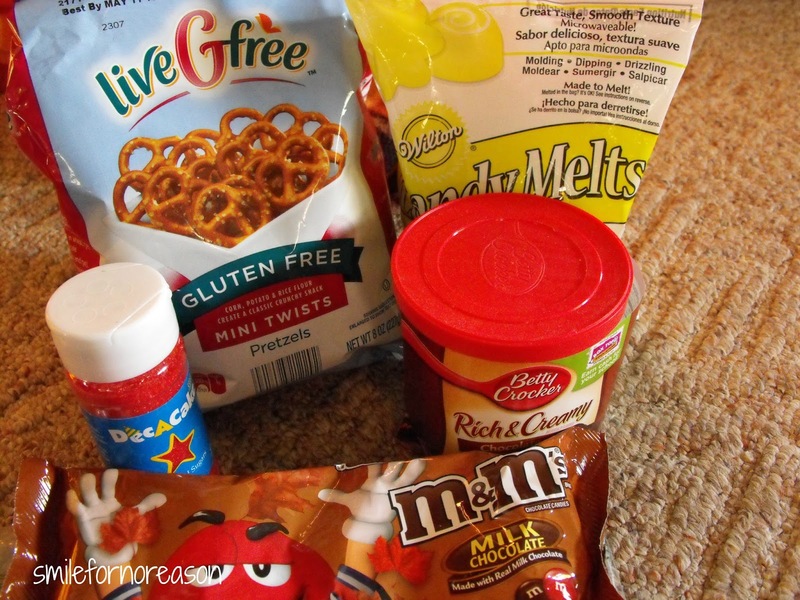 Besides walnuts and M&Ms, what sweets would you add to this puppy chow recipe? 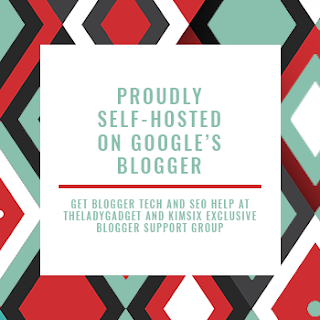 Today, I have a guest post from +Pheeby Snow . She gives us some insight to solving those small bathroom dilemmas. If you wonder why the bathroom is the smallest room in your home and yet can't find anything you are looking for while everything is falling on your head while your cleaning, you should definitely read the following advices. Usually the bathroom is a small space room. If you share that room with family or roommates, sooner or later space becomes an issue. In order to help you out to take full advantage of your limited space, we will offer you several bathroom storage solutions. 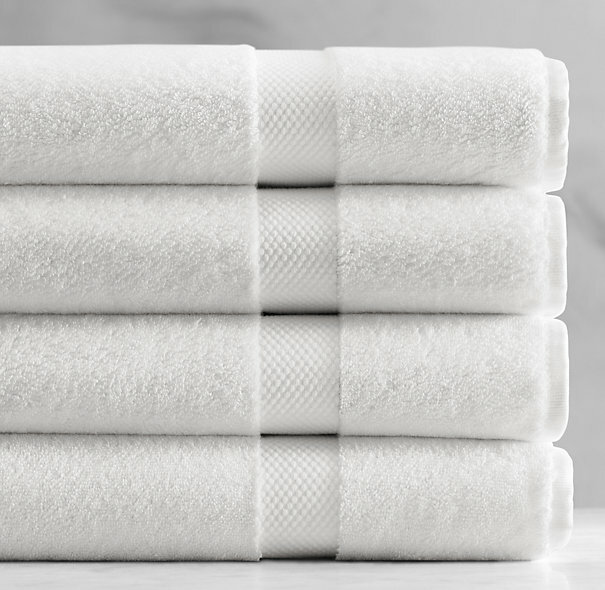 Get rid of your towel rod because it takes a lot of space and usually can hold up to two towels only. Instead of the long towel rod you can install multiple hanger hooks on the back of the door. That way you will optimize the space behind the door which is a big plus and also you will gain space. The number and distribution of hanger hooks will allow to place more things on them. Now instead of space-absorbing towel rod you will have door hangers where you can put your hair towels, face towel, bathrobe and whatever you like. 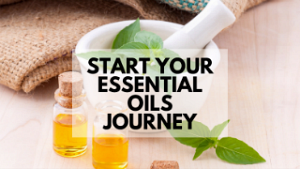 There is still a way to increase the capacity of you bathroom cabinet even if it is filled with medicine, creams, shampoos and other care products. You can make a small holder installation to the inside door of the cabinet in same manner of backside space usage. First you have to divide the content by its size. The larger bottles, tubes and items can be stored in the cabinet while smaller ones can be distributed in new installation. Spice-holders, sticking pods or vacuum-attacking jars are absolutely perfect for the purpose. The bathroom sink is one of the things that take a lot of space. Yet often the space under it is enough to store some of the items which cannot fit anywhere. Measure the free space under sink and buy a stacked organizer rack to gain some extra storage space. The best are the ones with sliding drawers because they give easy access to the stored items. Now you will have a place to put the cleaning products, old towels, sponges etc. Here is fine way to adapt your shower rod to store the thing you use the most. You can use holders for laundry pinches to put in them whatever you like. Pinch holders can be found everywhere, they are easy and simple to attached to any shower rod, they are cheap and you can put as much as you need. Your shampoo, shower cream, bath sponge, razor and other things you use the most will find their perfect place there. If you have even more things to store and free space is still a issue – try above the door. A simple shelf installed above the door is a perfect storage place where everything that needs to be away from water can placed. If you make all of these improvements to your bathroom the result would be stunning. With these clever storage solutions the bathroom cleaning would be a lot easier while the time you spent in the room would be more pleasant. This is not a sponsored post. I was not paid to promote this post.